SAS had much to celebrate in 2016. The analytics leader commemorated its 40th anniversary, expanded operations globally and continued to achieve revenue growth and profitability, posting US$3.2 billion in total revenue. That’s up 4 per cent in constant currency (1.3 per cent USD) over 2015. 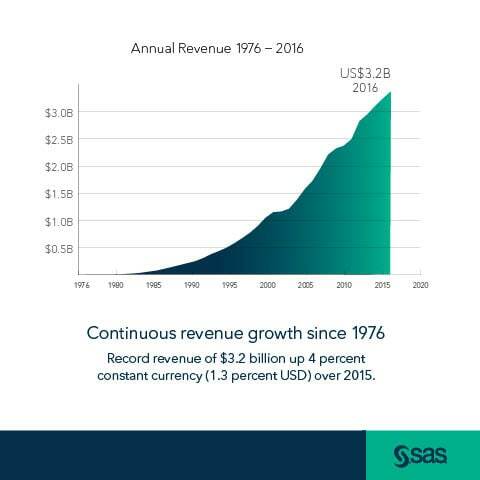 New software sales increased 9 per cent in constant currency (7 per cent USD), signaling continued demand for SAS Analytics solutions. 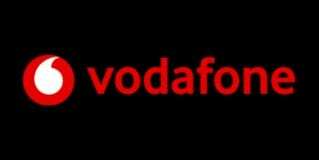 “We aim to help every customer turn analytic insights into value. 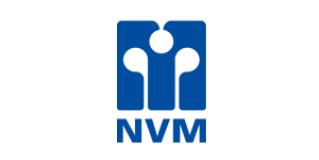 We do so by adapting to changing markets, working with disruptive technologies, and remaining relentlessly committed to innovation. This has allowed us to remain a leader across core markets while providing innovative solutions to our customers’ most challenging business problems,” said SAS CEO Jim Goodnight. 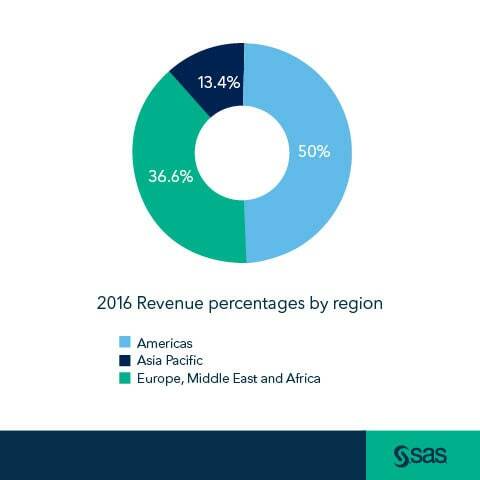 In the UK & Ireland, SAS recorded 5.6 per cent year-on-year growth in total software revenue. The results were achieved through deals secured across a number of sectors including financial services, retail and public sector.